I think I might officially be the worst blogger...ever. It is so hard for me to keep my blog up to date without feeling completely guilty. There is just never enough time in the day. I promise I do not neglect my sweet students like I do my blog. While I am keeping busy with school, I figured I would share a Thanksgiving freebie. 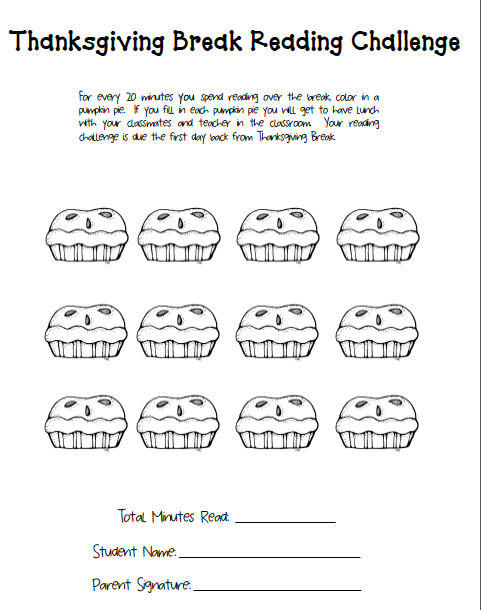 I made this optional reading challenge for my kids over the break next week. I know that not all will participate, but my kids who need that extra challenge will eat it up! They love anything that will give them a chance to be rewarded for their hard work. I know I will have several excited kids the Monday after break. Anything to get my kiddos to read! 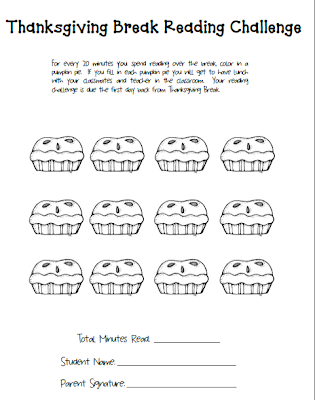 Visit my Teachers Pay Teachers here store to grab this freebie.